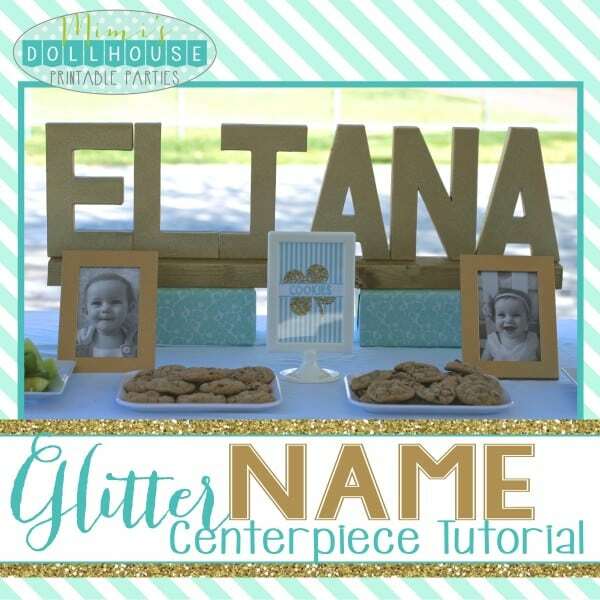 Mint Shamrock Party: Glitter Name Centerpiece Tutorial. 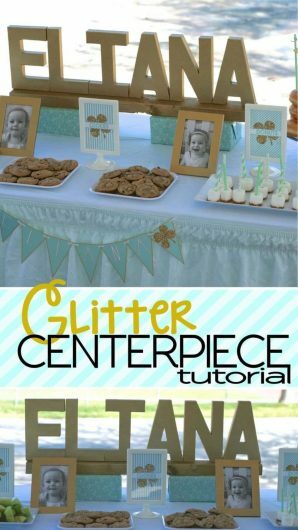 Today I’m sharing a centerpiece tutorial on how to make the easy peasy glitter name centerpiece from my Mint Shamrock Party. Looking for more St. Patrick’s Day parties? Be sure to also check out these Rainbow party ideas, these St. Paddy’s Day treats, this St. Patrick’s Day backdrop tutorial and then Shamrock shirts! We also have FREE St. Patrick’s Day Printable Decorations, an awesome Lucky Charm birthday party and more fun St. Paddy’s Day parties! 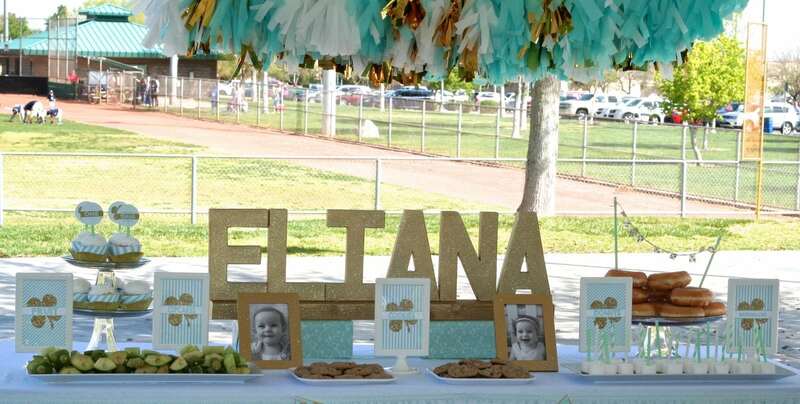 So when it comes time to set a party table, I love to incorporate the birthday girl or boy’s name into the design. I think it is such a fun way to personalize the spread:) Sometimes, I do this with fondant letters, or cookies…sometimes with banners or signs. And sometimes with awesome custom made signs or letters. For this fun glitter and mint shamrock party, I created an easy DIY glitter name centerpiece. Today I have a centerpiece tutorial so I can show you how to make one too. Spray paint all the letters with the gold spray paint. This will be an undercoat for the glitter, so you will want to make sure you fully cover the letters front and back and the gold paint. You may need to do more than one coat. Once the undercoat dries, spray the letters with a light layer of glitter spray paint. You don’t need a heavy coat because of the gold underneath. See…I told you it was easy peasy!! I hope you love your centerpiece! Also, checkout the budget breakdown for this design for more details of this party spread. Wanna throw a Mint Shamrock Party? What a perfect party addition! And she can use it as bedroom decor afterward! Great creation! I love how the gold letters turned out. Very awesome indeed! Omg! How cute! I love crafting. I can’t wait until my little one gets a little older and we can craft together. I love these gold letters! Very cute! This would look adorable in a kids room as well! Love the party package also! I love your blog! I appreciate the step by step process you lay out. I love the decoration, nice work! What an easy creative addition and it’s multipurpose! That would look great in their bedroom after the party! 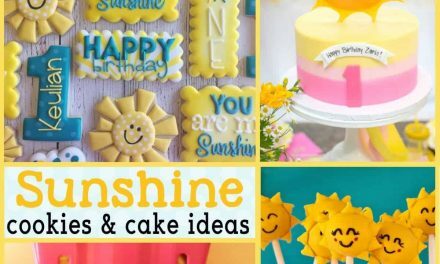 This is so cute and it looks like such a fun DIY project! 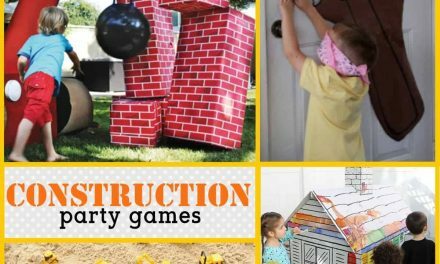 You could give Martha Stewart a run for her money with this project! Just lovely colors and so sophisticated looking. Sometimes party favors can look a touch cheap or tacky, but this is sleek and elegant. Bravo! This is such a beautiful piece for a party! I love the gorgeous glitter! Glitter is always a hit. Thank you for the tutorial. It is not hard to follow at all. I would like to use it for a baby shower. VERY cute!!! I love decor like this…especially when theres glitter. HOW CUTE!!! I LOVE ALL THINGS WITH GLITTER. That’s so easy but such a cute idea! And I love that you could use it over and over since their name doesn’t change no matter what theme a party is. This is super cute and a neat idea. I love how simple and elegant it is. Glitter is life. Such a cute yet simple idea! I love using initials and names in decorating, so will have to remember this one at our next kid party! This looks really cute and glittery. 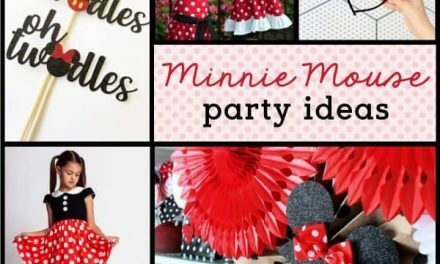 Such a great theme for a party, everything is so personalized. This is very helpful that you have included the printouts and step-by-step directions for people like me, who are not very craft savvy! Thank you! This looks so cute! It was the perfect touch to add to the rest of your party decor! lovely centerpiece and it’s so cool for a party. Nicely written step by step procedure . I love DIY projects, and this is so cute. Thanks for the tutorial! This diy project is really creative. What a lovely idea. 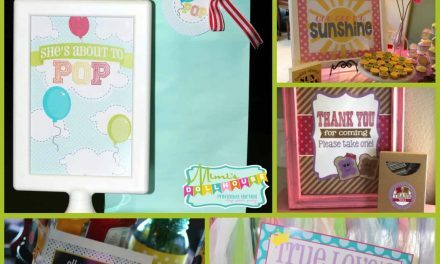 What a fun way to personalize the special birthday child! Thanks for the tutorial tips! So cute and simple to do! <3 Those cardboard letters are the best…cheap, cute, and easy to decorate! too cute! easy and affordable! I love this idea! Easy to personalize and the best part is that they are able to save it and use it as a room decor later! Such a cute idea!! I love this color combo and that extra touch of glitter! What a great idea for the party and the fact that it last is so great. My daughters would have keep it also, love it! What a cute color scheme! I love it. This looks like such a fun project. I know my daughter would love doing this with me. She loves celebrating all of the holidays and St. Patrick’s Day is no exception. This is so beautiful and creative! What an awesome idea for a birthday party. wow, this is a perfect party table! Love the idea. Very creative! My man loves doing DIY projects, I will have to think of something he can make for us like this! I love this for St. Patricks Day and for my daughter’s room! She is obsessed with anything gold and glittery, so she would be thrilled with this!